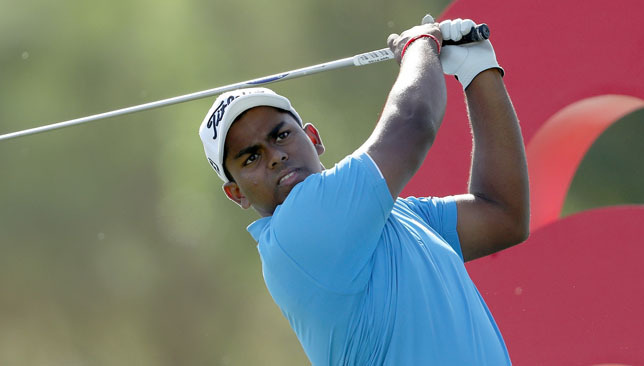 When Rayhan Thomas steps out at Emirates Golf Club for the Dubai Desert Classic next week, don’t expect the 19-year-old Dubai man to be overwhelmed. In fact, it will be his fourth European Tour event, and third in Dubai, marking yet another stellar achievement to his burgeoning career to date. The Dubai Creek Golf & Yacht Club man first turned heads as a 17-year-old in 2017 when he sealed the Dubai Creek Open title after holing a record-tying nine consecutive birdies in a second round 61. Much has happened since that sunny day in September two years ago and Thomas’s career has gone from strength to strength since, with two wins and a feed of top-5 and top-10 finishes to add to his sparkling amateur CV. His recent victory at the 11th King Hamad Trophy in Bahrain was capped off with a stunning final round 68 to finish on 17 under par, five shots clear of South African Mathiam Keyser. A sure sign that more is to come for the Al Garhoud resident. “2018 was good year. The second half in particular was a lot better. I played really well in last three or four events and to cap it off with a great win in Bahrain was even better,” he said. Aside from his win in the Gulf state, Thomas came close in Singapore, finishing two shots behind winner Takumi Kanaya of Japan at the Asia-Pacific Amateur Championship. He also recorded a top-10 at WATC – Eisenhower Trophy and top-15 at the Asian Games in August. “With my game, I’m happy with iron play, it’s one of my strengths. I can improve everywhere. Putting is somewhere I need to get some practice but I’m feeling good overall,” he continued. Unlike many young players on the amateur circuit who are hoping to turn professional soon, Thomas is eager to gather more experience by extending his amateur career in America. The Indian-born prodigy has committed to Oklahoma State University (OSU) – the former alma mater of PGA Tour stars Rickie Fowler and Peter Uihlein – and is hoping to replicate his solid displays at the AAC when he starts at the college in August. “Being away from home will be an interesting experience. I’m used to travelling all the time but it will just be different living on my own,” he said. Thomas is ranked 17th in the World Amateur Golf Rankings, which is the highest for a freshman at OSU. Two of his other teammates for next season are in the top five – Viktor Hovland (Norway) at No. 3, Matthew Wolff (America) at 4. It’s sure to be a test but for each opportunity that has presented itself in the past, Thomas has flourished. There will no doubt be the lure to compete at every given opportunity in the months ahead but for now Thomas insists he will play in fewer events until his studies are complete. 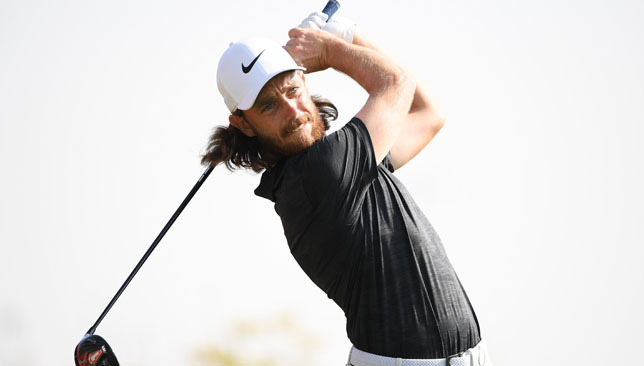 Tommy Fleetwood will be bidding to defend his Abu Dhabi Golf Championship as the sixth European Tour event of the season gets underway at Abu Dhabi Golf Club on Wednesday. Here, we look at four talking points ahead of the tournament. Can Fleetwood make it three in a row? The Southport man proved his 2017 success was no fluke by lifting the title again last year, finishing two shots ahead of Ross Fisher and Rory McIlroy. The 28-year-old has been in stunning form since his triumph in the capital last January, with a second place finish at the US Open and Alfred Dunhill Links Championship to add to his eight top-10s and ten top-20s last season. That’s not to mention his exceptional four wins alongside Francesco Molinari at the Ryder Cup in October. 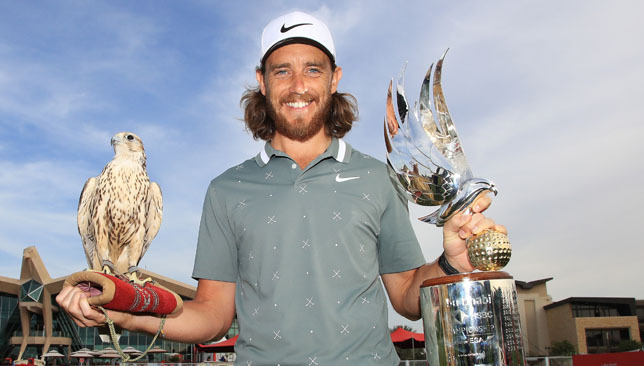 While a repeat of last year’s heroics in the UAE might seem too much to ask, Fleetwood certainly has the class to mount a challenge. Only four players have won the same European Tour event three times in succession and they happen to be Tiger Woods, Nick Faldo, Colin Montgomerie and Ernie Els. A win would be a serious tonic to start the year, but any form of strong finish would represent a positive as he goes in search of a first major in 2019. The American returns to the UAE for the first time since 2014, seeking to reclaim the world number one spot if he finishes inside the top three. 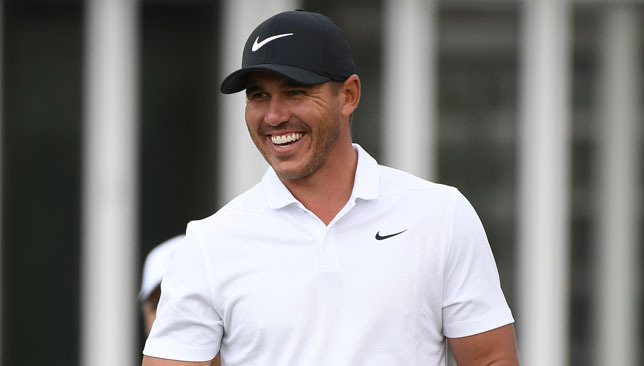 Life has been different for Koepka since he missed the cut in the capital five years ago and now the Florida man is among the true warriors of the game. Three major wins is a lot to be desired, especially when they were all achieved in the space of 18 months, but now the 28-year-old must prove he has the freshness and drive to follow on from that success last season. All the top guys have the potential to win on any given week but it comes down to the hunger, the ruthlessness, the selfishness to put golf first before other things come in and contaminate the mindset. Koepka needs to keep this form up and not let the outside music distract the melody he is making. The Swede endured a mixed 2018 season due to a niggling elbow injury. But a minor procedure after the Ryder Cup in October worked, and he finished the season with fourth places finishes in Indonesia and the Hero World Challenge as well as T12 at the DP World Tour Championship in Dubai. Back in action this week, the 42-year-old will be looking to continue that remarkable run. The former Abu Dhabi resident has two runners-up finishes in the capital. Another top notch performance could set the wheels in motion for another tilt at the title – the only Middle East trophy missing from his mantelpiece – on his 14th attempt. 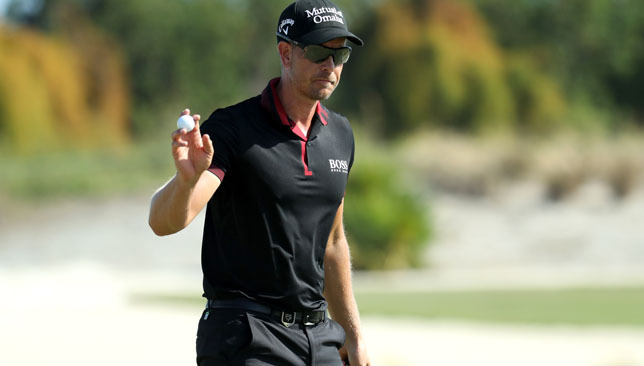 Teeing off alongside the likes of Dustin Johnson, Fleetwood and Koepka will be no mean feat, but if there is any player with experience and intelligence for this course, it is Stenson. Can dominant Dustin go one better? The former World No1 is the favourite for most events he competes in but can he convert the fancy this weekend? The American finished second at Abu Dhabi Golf Club in 2017, one shot behind an inspired Fleetwood, and went on to seal a top-10 finish after struggling in the first round last season. To underlined his consistency last campaign, Johnson triumphed three times and recorded nine top-10 finishes. 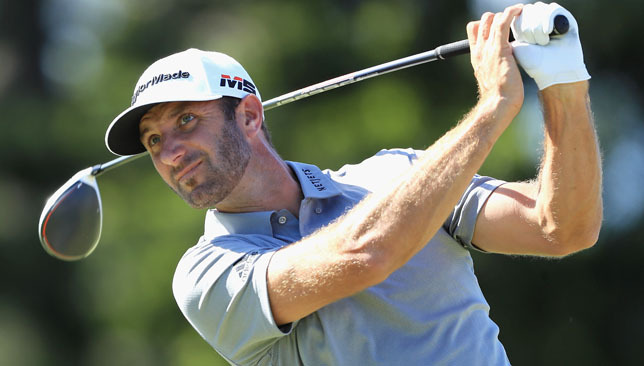 His missed cut at the Open Championship in July was the first time he had a disastrous opening two rounds since the 2017 US Open – 22 tournaments before. Of course, numbers mean nothing and the real tests awaits this weekend with Koepka and Fleetwood both likely to have a say in where the trophy goes. However, Johnson needs to prove he can go out and win more tournaments rather than simply being tipped to do so at the beginning of the week.